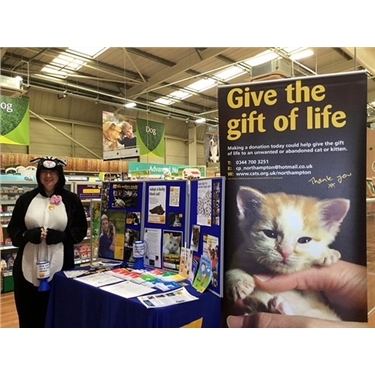 A big thank you to Pets at Home and Support Adoption For Pets for their support at our three-day fundraising weekend. 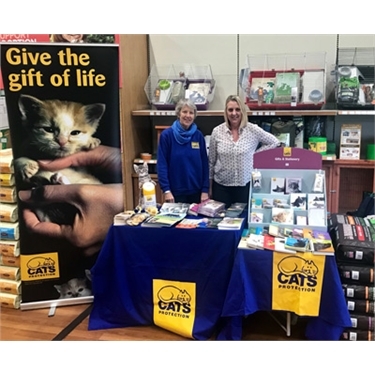 The event took place across all 450 Pets at Home stores from Friday 23 to Sunday 25 March and has so far raised over £35,000 from in-store fundraising and branch fundraising activities, with funds still coming in! Over 100 of our branches and centres also attended their local stores. We are delighted that so many of our branches and centres took part. 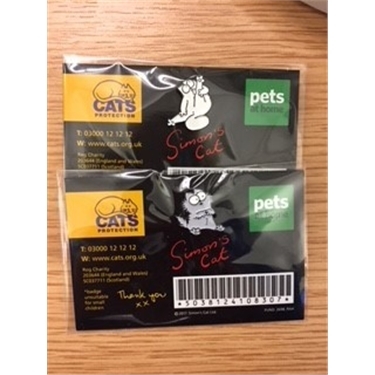 Funds were raised in store by store teams from sales of two bespoke Simon’s Cat pin badges, donations of 50p at the till which could help a cat in our care and through further donations at the till. Our branches and centres that attended a local store also raised funds through their own fundraising activities. Many held tombolas, collections and some even wore cat costumes! 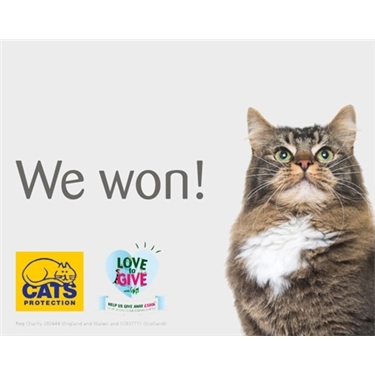 We would like to thank Pets at Home and Support Adoption For Pets for this sixth fundraising and awareness weekend and for their ongoing support of Cats Protection. Thank you to Simon’s Cat for providing the two designs for the pin badges and to all our supporters who visited a Pets at Home store over the three days. Simon’s Cat badges may still be available in some stores until the end of May should they have any left, so don’t miss out!